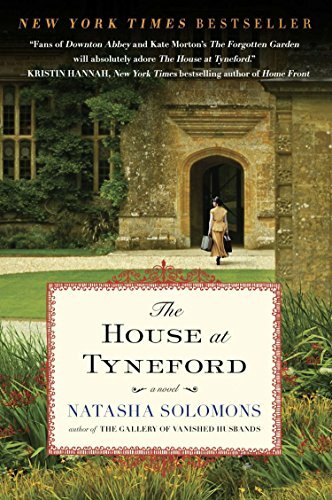 The House at Tyneford by Natasha Solomons is a moderately well-written romance set in an English country house during World War II. Although the story is fairly predictable in following the conventions of many a romance novel, it still provides guilt-free pleasure since its Jewish narrator/heroine escapes Vienna on the eve of the war to work as a domestic servant at Tyneford. This lends a bit of gravitas to what would otherwise be a run of the mill story of a young heroine, an outsider who falls in love with a wealthy aristocrat. While The House at Tyneford is neither stylistically innovative nor intellectually rich, it is nicely written for the most part, well–organized, and amply researched. Ms. Solomons includes many lovely descriptions of Tynneford and the English coast that vividly capture the romantic milieu of the action. Ms. Solomons also uses dialogue effectively and captures regional dialects well. Despite the fact that the characters lack psychological complexity or depth, they become distinct and memorable through their use of language. Upon first meeting Elise, Art, the groom, says to her, “Don’t talk much, do yer? Some of them new maids won’t stop their rattlin’.” By contrast, the housekeeper Mrs. Ellsworth and Mr. Wrexham, the butler, valet, and head of staff at Tyneford speak more formally, appropriately reflecting their status. The structure of the novel and the narrative device of having Elise looking back in old age relating her experiences at Tyneford are conventional. Yet despite its literary shortcomings, The House at Tyneford is engrossing, persuasively capturing a lost world and time. The House at Tyneford reads very much like a popular Victorian novel. In fact, its similarities to Charlotte Bronte’s Jane Eyre are striking, including extensive descriptions of the landscape and nature, an old English estate, and common themes, characters, and plot devices. Consider the young female outsider with no family nearby; tumultuous, angst-ridden older men; seemingly inappropriate love interests; a mean romantic rival; class issues; grief and loss; a house fire; and even the name Rivers. While The House at Tyneford clearly lacks the inventiveness, quality, and literary heft of Jane Eyre, it is unmistakably an homage to Bronte’s novel. Finally, Ms. Solomons’ novel is most reminiscent of British TV shows “Upstairs, Downstairs” and “Downtown Abbey.” It would make for a great miniseries. Take note BBC and PBS: This could be your next big hit.